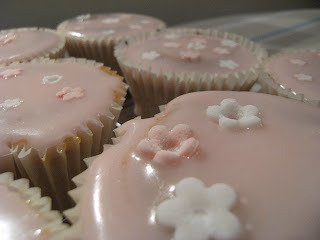 This is my catch up post as I’ve been lazy! 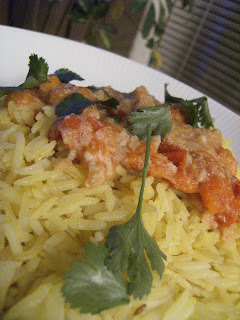 Tomato Curry – it turned out ok but definitely needed more sauce to it.. I made the curry on a Friday night & I will add the recipe when I can lay my hands on it. It was tasty just a bit too dry. Next on my list of accomplishments is another soup (sorry if I’m getting boring here, but it’s that time of year). We served with crusty bread & butter. 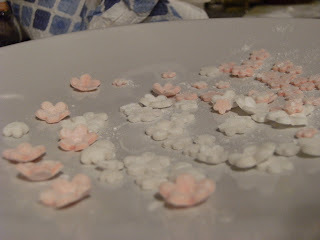 The tarragon added a creamy sort of taste – it really was very nice. 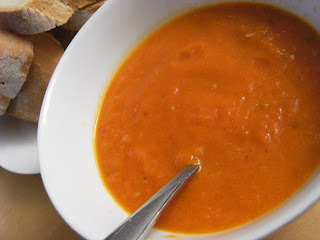 Possibly one of my favourite tomato soups. 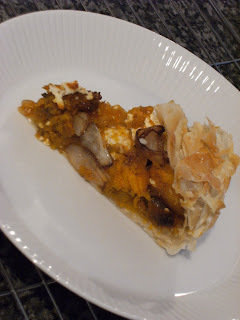 Lastly we have my original Butternut Squash Tart… based on Simon Rimmers Feta & Spinach Free-form pie in Septembers Delicious Magazine. I made it to use up the left over butternut squash from the soup the other day. Put the shallot pieces in with the main mixture & add the last tbspn of balsamic vinegar. Put to one side. 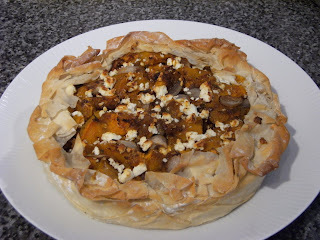 Add the butternut squash mixture & crumble the remaining feta over the top.